Winter X Games 2017 went down in a big way on the weekend of January 25 to 29. We’re talking 105,000 in attendance at the games, which are held annually in Aspen, Colorado. If you were able to find a way to tune in from Canada (via YouTube or your local watering hole), then you already know our Canadians boys had a great showing this year. If you were out snowmobiling and missed it, here are the results and a brief recap. 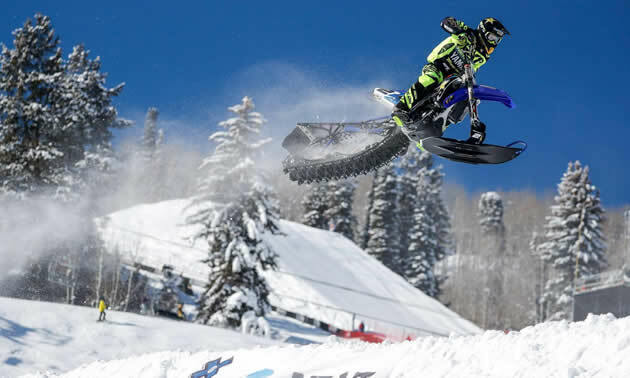 This was the first-ever snow moto or BikeCross competition at Winter X Games, and who better to make history than B.C.’s own Brock Hoyer. The 29-year-old from Williams Lake took the Gold medal with a strong 12-second lead over Silver medallist Colton Haaker, who is from Hollister, California. At one point, though, it was a battle of the Canadians as Cody Matechuk of Cochrane, Alberta, lead for several laps. Unfortunately, Matechuk gave up the lead after stalling his bike. The 27-year-old Yeti battled back and managed a third-place finish, earning his first ever Bronze medal at X Games. It was Hoyer’s first medal and appearance at X Games as well. And Sieg? Well, he did an impressive job too, considering he started from the second row and managed a seventh place finish. Saturday’s Snowmobile Freestyle competition saw Brett Turcotte of Clearwater, B.C., and Josh Penner of Letellier, Manitoba, going for a medal. With a score of 88.66, Turcotte had the bronze in sight but was bumped to fourth when Levi LaVallee scored 90 on his second run. Penner and Turcotte had better success in the Snowmobile Best Trick competition on Sunday. Turcotte scored 83.33 on his second run, which was enough to earn him his first Silver medal. This was Turcotte’s eight appearance at X Games, but his first appearance in the Best Trick competition. 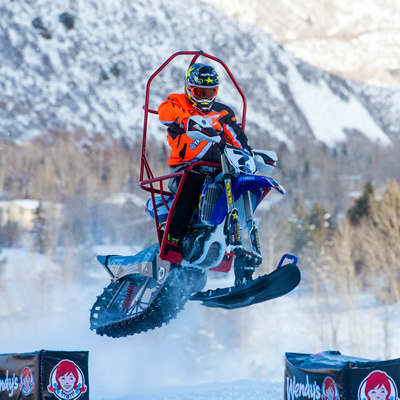 Penner took fourth place with the egg roll nac, a dirt bike trick that he had spent months perfecting for snowmobile competition. This year was Penner’s second appearance at X Games. He took 7th in Freestyle in 2016.